Near-freezing temperatures in north-central Guinea in January destroyed crops and livestock on which thousands of people depend for food as well as cash. Elderly locals told IRIN they had never seen cold this intense in Mali, a town in Guinea’s Labé region. “The vegetation looks as if it was burned in a fire,” Hannibal Barry of the UN Office for the Coordination of Humanitarian Affairs (OCHA) told IRIN from Mali on 19 February during a joint evaluation by UN agencies, local authorities and NGOs. Temperatures dropped to as low as 1.4 degrees during the 17 to 26 January cold spell, according to a preliminary report by the Food and Agriculture Organization (FAO) and World Food Programme (WFP). The cold wiped out crops – mainly potatoes, tomatoes, peppers, onions and bananas – across five districts in Mali. It is not yet known how many hectares were destroyed, Mamadou Saliou III Diallo, head of agricultural operations at the Mali prefecture, told IRIN after visiting the affected areas. In one district, the cold destroyed 15 hectares, he said, adding that UN and local officials continued to survey the area. Rural development officials said that in normal conditions production per hectare in the area was 12-15T of potatoes; 8-10T of tomatoes; 4-5T of aubergine; and 3-4T of peppers. The cold also provoked at least 1,115 spontaneous abortions in goats and sheep, Diallo said. Souleymane Diaby Barry, a livestock technician in Mali, told IRIN the affected animals were in an advanced stage of gestation and that stress can cause spontaneous abortion during this period. “This is the first time I have seen abortions caused by cold,” he said. Some goats and sheep were also killed, as were at least 700 chicks, Diallo said. Mamadou Cellou Diallo, who grows vegetables in Mali, told IRIN that during the dry season, from November to April, families subsisted on these crops, which they cultivated near streams. “These are poor farmers, and they do this gardening during the dry season to get by,” he said, adding that families consumed some of the produce and sold the rest. 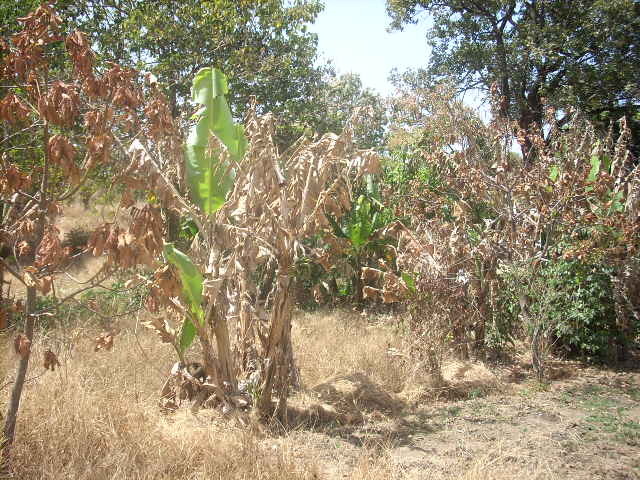 WFP said some of the affected crops were to be used for school meals. FAO is initially appealing for US$500,000 to help families affected by the cold, Mariatou Coulibaly, FAO emergency coordinator in Guinea, told IRIN from the capital Conakry. “People in this area count on earnings from their vegetables to cover healthcare and school fees,” she said. FAO already provides seeds and tools to families in the region, with funding from the Italian government. Communities in the area – which is rocky and mountainous with limited cultivable land – survive essentially on agriculture, according to OCHA. Temperatures are relatively low in Mali during this period. But the lows are generally around 12 degrees, a local resident said.